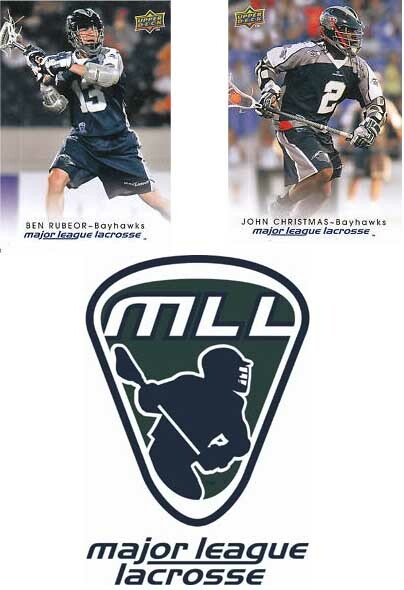 If you're a fan of lacrosse, 2010 Upper Deck Major League Lacrosse is definitely a product worth looking into. At $19.99 it's highly affordable and offers MLL fans a chance to collect their favorite players. Each box contains a full 100-card set. Complete 100-Card 2010 UD Lacrosse Set! Matt Danowski of the Long Island Lizards was chosen as the spokesman for the set and will be featured on the 2010 UD Lacrosse packaging. Danowski starred at Duke University and was the 2nd overall pick in the 2008 MLL Draft. Includes 2010 MLL Draft Picks!